Courtesy of Kerri Johnson, RE/MAX Realty Services. Open House 4/14 12-3. Gorgeous, move-in ready Kensinton Model Townhome with a 4′ Bumpout, 3 Level, 3 bedroom, 3.5 baths with a 2 Car Garage in the sought after Clarksburg Village. This house offers an open floor plan with upgrades galore! Gleaming hardwood floors throughout the main level, a gourmet kitchen with huge island, granite counter tops, stainless Steal appliances, double ovens and a large deck for entertaining family and friends. Huge walkout Basement with Full bath and bonus room that can be used as a guest bedroom. Master Bedroom with 2 large walk in closets! All of this and just walking distance to Elementary school, Pool, shopping, restaurants and so much more! Hurry because it won’t last! 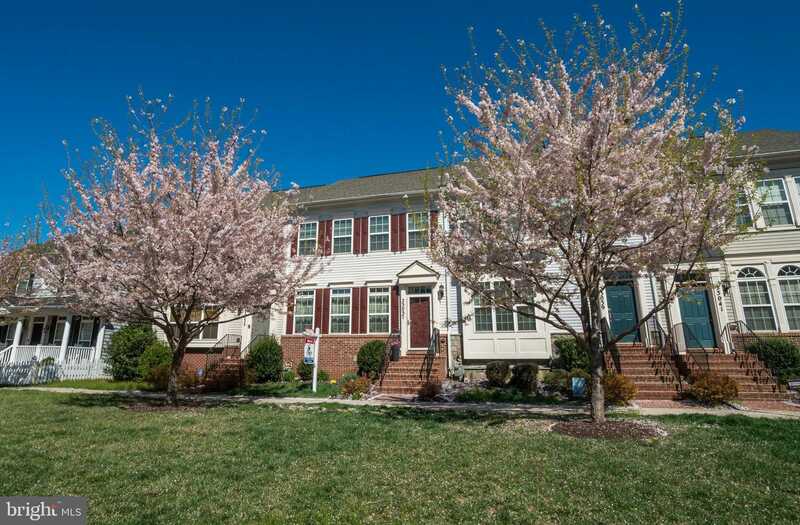 Please, send me more information on this property: MLS# MDMC650016 – $459,900 – 23037 Turtle Rock Terrace, Clarksburg, MD 20871. I would like to schedule a showing appointment for this property: MLS# MDMC650016 – $459,900 – 23037 Turtle Rock Terrace, Clarksburg, MD 20871.